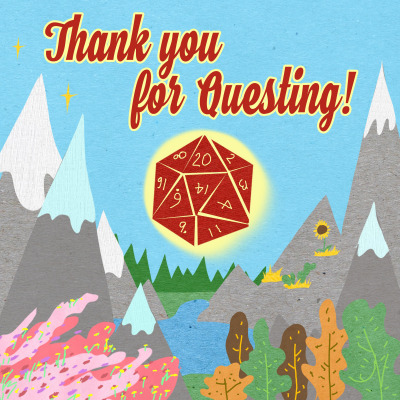 Thank You For Questing! is a (mostly) improvised fantasy rpg show where the players can, at any time, change the details of the universe by rolling against the GM. In this story, three creatures from the sleepy town of Willow Creek embark into the greater world to become heroes, traveling to locations inspired by holidays, seasons, and celebrations from our world. But despite their plucky personalities and colorful characters they meet, a dark secret casts a shadow on their adventure.